PotPlayer is a free advanced multimedia player for Windows, created by the same Korean author of The "KMPlayer", Kang Yong-Huee. 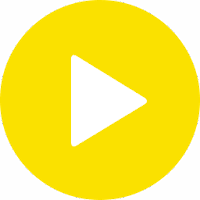 Tis program is a modern player that supports almost every available video formats out there and contains built-in codecs, so there is no need to install codecs manually. It has an extensive range of configurable options to choose from and lots of functionality. Daum PotPlayer is a completely freeware app that contains no internal advertisements and various spyware. It's an alternative to other popular media players available for the Windows such as VLC media player, KMPlayer, SMPlayer and Media Player Classic. High-quality playback with low resources usage. Disclaimer: Direct downloads for the lastest version of PotPlayer 1.7.3795.0 are provided by the official software's author, we can't guarantee safety, availability or download speed. Moreover, we don't and we won't provide any pirated/illegal versions or tools. We recommend you to avoid it as these methods can harm your device. If you like the software, buy it to support the developers. (We provide software discounts for many worldwide brands).